Click banners for more info. USDTC is an all-breed training facility. For over 50 years USDTC has empowered people to become better dog owners through positive training & education. USDTC has classes for every dog from puppies to seniors. From manners to competition, we can teach you to teach your dog. 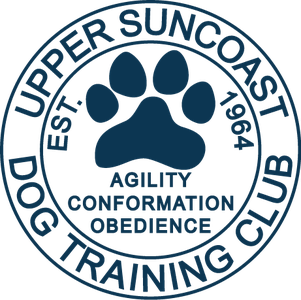 We offer classes in obedience, rally, agility, conformation and tricks. We also offer therapy dog training for those who want to give back to the community. USDTC is looking for a Club Historian & AKC Delegate. If interested in volunteering for either position, please contact Ken Stowell or Bonny Thatcher. Sunlite Bluz aka: Eddie took a five point major with Best of Winners on Saturday, April 6 under the watchful of Judge Peggy Hauck. Also, Pup-Pup took Reserve Winners. Bernie took First in her class and Ernie took First in his class, both of which has never been in Conformation before. 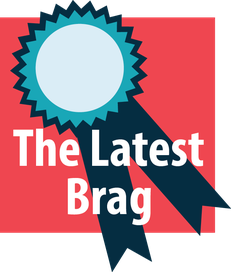 New brags will be posted here for at least one week and then moved to the "Our Dogs" page.